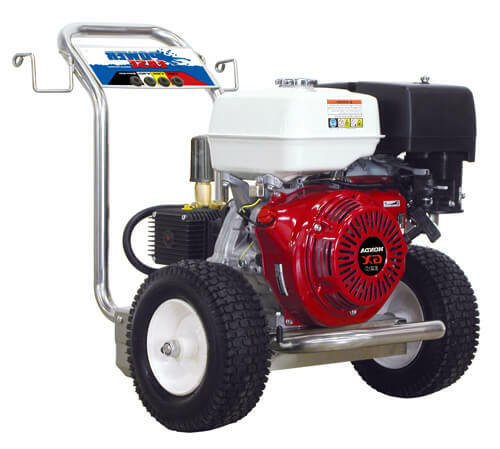 Direct drive power machines are the most durable HONDA pressure washers in their category. They are equipped with Honda engine that produce 14-16,000 cleaning units. Chose among AR, CAT, COMET or GENERAL water pumps that can generate 3,000-4,000 PSI and 4.0 GPM. The units are mounted on the stainless steel frame and are supported by two 10"-13" tubed pneumatic tires. Honda pressure washers are good designs and therefore easy for transport. They are equipped with a chemical injector kit that allows a convenient cleaning solution application, 50' ft of pressure hose for uninterrupted powerwash work, 4 spray tips for wide range of cleaning applications and much more. Enhanced new pressure washer with high-performance drives, cutting-edge stainless steel frame and leading-edge engine. All pressurewashers are factory tested before being delivered to you. This stainless steel Honda powered engine with steel gas tank and oil alert engine. 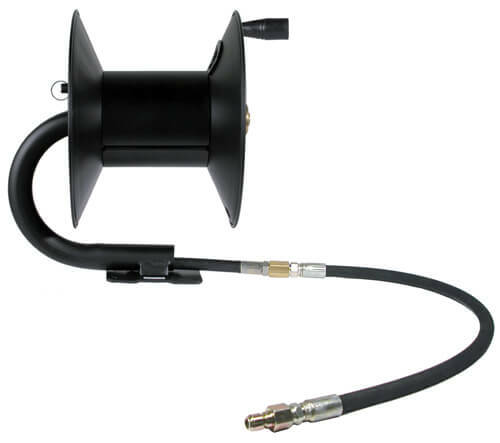 This unit is mounted on a heavy duty frame with anti-vibration rubber floor, 2mm thick tubing on handle and bumper, solid welded stainless steel foot and threaded axle and bolted tires.